Utilizes smart-phone GPS features and geofence technology for most accurate pickup and delivery notifications, real-time ETAs with traffic and weather alerts. Provides full route maps and is fully compliant for EDI. Optimized for fast data communication and battery life. Has 16 of the most sought-after information resources, tools and planning features to help drivers on the road. And they’re free to truckers! Instantly communicate with the driver through the app. Receive driver inputs for weight of load, number of pieces, reefer temperature and many more data points in real-time. 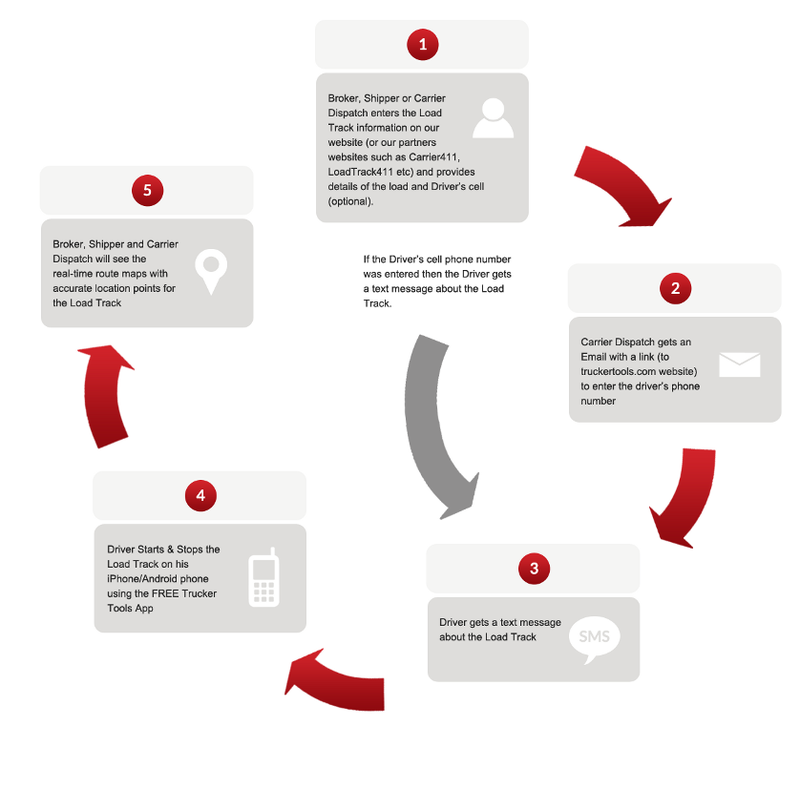 Also receive timely images of key shipping documents via the app’s secure document scanning feature. 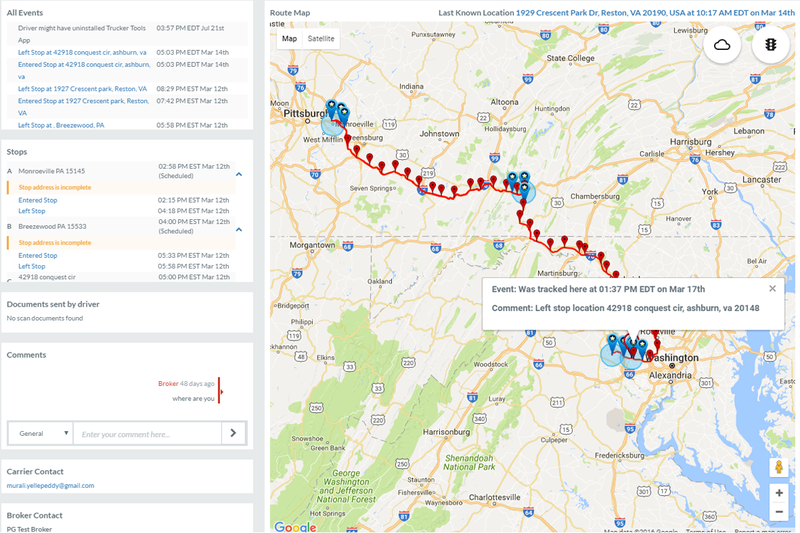 Load Track offers carriers, brokers and shippers the ability to follow a load's route and receive updates on its location in real time. 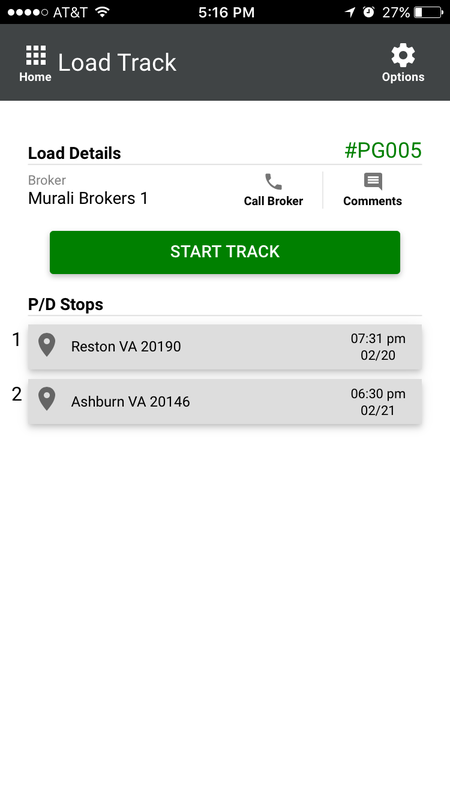 By allowing customers to know when their loads will arrive at their destination, Load Track enhances credibility and you no longer need to field phone calls from customers trying to determine a load's location. "Load Track is an indispensable tool for our brokerage operation. Now we have greater visibility for all our loads, so we can keep our customers better informed and address service issues proactively. 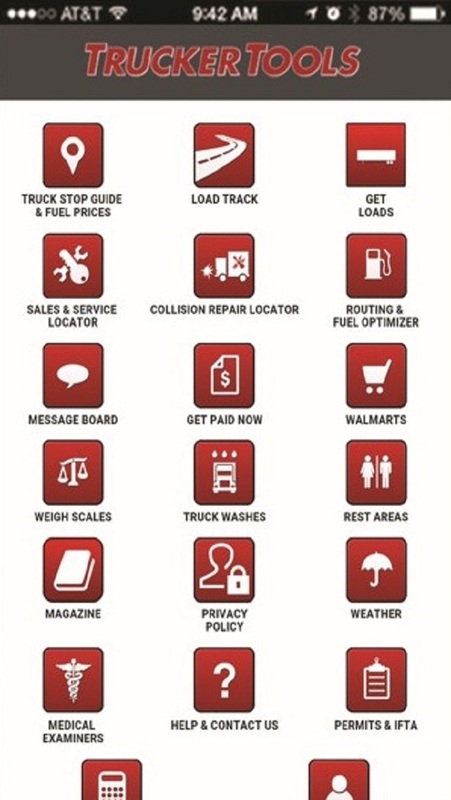 Drivers appreciate the straightforward design of the Load Track app and the many useful features on Trucker Tools." "Trucker Tool’s customer support is unmatched in the transportation technologies space. Trucker Tool’s is the most feature rich and absolute best cost application available. Trucker Tool’s promises to optimize the intermediaries cost of labor in both shipment planning and management." "Our EDI compliance and on time delivery performance have increased dramatically since starting our relationship with Trucker Tools." "Load Track customer service has been great to work with. They are quick to respond by phone or e-mail. They are very helpful and easy to understand. We’ve seen great improvements in the product in just a few months. That’s because they listen to the customer and continually make improvements." "A shippers comment to one of our customers about Load Track – "when can we get this on all of our loads!! !”"
"Partnering with folks like you will make us great." "We are really glad that we found you." 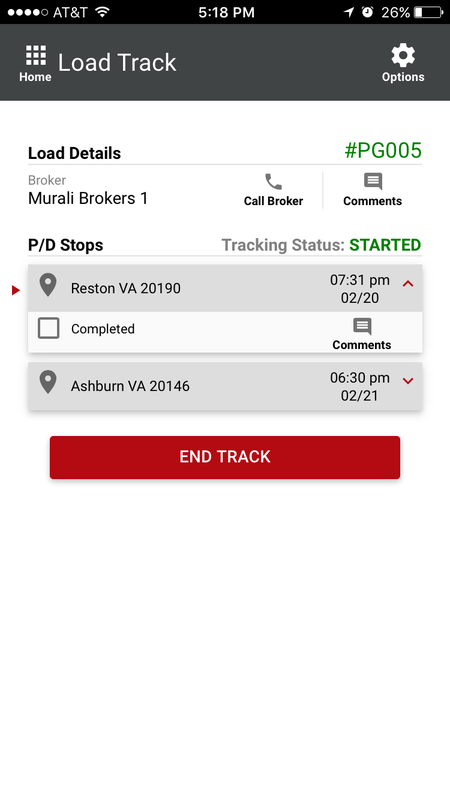 "Trucker Tools gives us the ability to track a brokered load/truck with up to the minute accuracy without having to rely on a driver answering his phone in route or wait on a dispatcher to get back to us with an update. 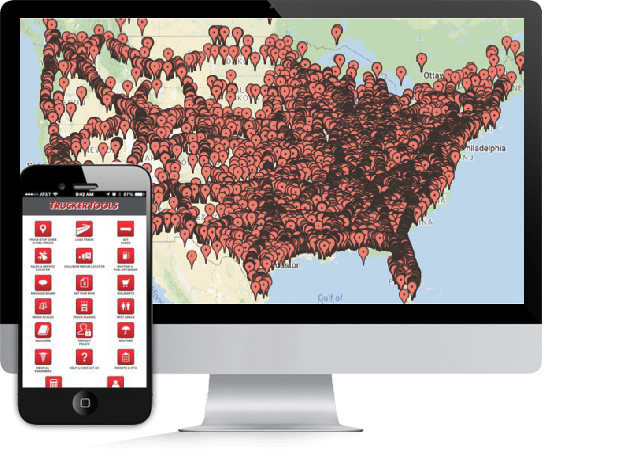 With the majority of our business having such strict tracking requirements, the ability to track ANY truck with the trucker tools is a way we have been able to grow our capacity and provide our customers with better service." "Prasad and Murali have been the most responsive people we have worked with at any tech company. They look for ways to make products work for our business and ensure a streamlined and well informed operations team. They even created customized products linking separate systems within our organization. This has accelerated and improved our dispatch, tracking, EDI compliance, and business intelligence that is crucial to our customers. We have already started highlighting these tools in our marketing and sales in efforts to differentiate ourselves in a cluttered market"